If you’ve been reading my blogs on the subject of requirements, you will no doubt appreciate the level of importance I place on getting requirements right and then testing them before committing yourself to a contract or a technical specification. Just in case you are thinking that this is in some way anti agile, then nothing could be further from the truth. Please read my blog on agile requirements engineering for a discussion on this topic. Let’s take this opportunity to recap on why we do requirements. The simple fact is that once a development team start work on creating a technical specification, the till begins to ring up with costs and every time you make a change after this point more costs are added. The closer you are to rollout when you make the change, the greater the extra cost will be and that time phased increase is exponential, therefore the first purpose of requirements engineering is to contain costs and eliminate or reduce slippages. The second purpose is to make sure that the end product delivers value by meeting the needs of the business precisely in order to meet or exceed the benefits targets set in the business case. Each organisation and each project are different and requires a tailor made strategy for getting the requirements right by recognising, exploiting and working with the capabilities of the organisation. A detailed analysis of the stakeholders involved in the as-is process in order to make interviewing efficient and thorough. A strong feel for the past experiences of the organisation in terms of successes or failures with software projects in terms of meeting business need and staying within budget and time constraints. This along with some tactful exploration of causes will give a strong steer about the current capabilities of the organisation to engage with a formal requirements process and to take seriously concepts like change control. A good indicative plan that indicates the products to be created, their acceptance criteria, time scales for delivery and the amount of effort that will be needed from stakeholders. Using RACI to identify stakeholders for the Requirements function. In my blogs on business case techniques and models I discussed the importance involving the right stakeholders to gain buy-in and get a real picture of what success will look like. In order to design the system, you will need a different type of stakeholder list, one that describes roles, responsibilities skills and communication. This list will give a clear view of where the knowledge skills and the responsibilities lie within the organisation and therefore point you at the right people to describe requirements and take responsibility for their quality. My favourite tool for achieving this is a well known HR instrument known as the RACI chart. Responsibilities Accountabilities, Consults, Informs and it provides a two dimensional view of a team that helps you quickly analyse the team for adequate skills, supervision, communication and quality control. It can be adjusted in form or emphasis to suit your precise needs, but the fundamental principal serves well in any circumstance straight out of the box. The table above lists nominal roles across the top and Activities down the left, each cell is then marked with one or more of RACI to show who has what role in that activity. The example is for a software development team, but if you were building a hospital it would list things like planner, builder, architect and activities like approve plans, complete design, etc. A software project for a builders might involve, Construction director, surveyor, cost controller, quality controller etc and Liaise with clients, agree costs, sign off completion, etc. Apart from being a huge benefit in helping to highlight the important stakeholders for your requirements process, the RACI chart also provides a quick but effective sanity check to make sure that your team is adequate and that there no duplications, conflicts or gaps. Horizontal analysis of each task will quickly tell you whether there are sufficient doers and accountability exists and is in the right place. Vertical analysis of roles will quickly highlight overworked, under worked, misplaced authority or responsibility and lack of or too much consultation and information. Too much consultation stifles decision making and too little leads to dangerous decisions. Corporate culture can lead to busy bodies who don’t always follow through, or teflon in-trays. All of these issues need to be understood and ideally addressed ahead of system design, because the system will only perform as well as the people who use it. Once you have created this chart, the next thing is to create a list of names with contact information to place in each of the role areas. If the project is large and/or complex, there may be more than one name in each box and there may be further sifting to do in order to resolve any doubts. Don’t be surprised to find skeletons in the cupboard and lack of agreement over who does what. If you uncover these issues, now is the time to discuss them at a high level and attempt to get them resolved ahead of requirement gathering. The second step is identify the Actors, the people and systems that carry out tasks as part of this process and the sources of all the skills, knowledge and decisions required to complete the process successfully. This will generally begin with the R people in your RACI chart and will usually expand to people who do the work with or for the R person. E.G. the R may be in your chart as the Technical architects for design, but on investigation, you may find a DBA, a SysAdmin and many others who play key roles and these people also need to be interviewed. The actual actors may be more usefully broken down to specific skill sets or disciplines as opposed to specific roles. E.G you may have Document writer, Interviewer, modeller all of which are actors within the BA function. This approach gives a slightly more abstract approach that lends itself to reorganising roles for efficiencies, or to adapt to a new system.Never be tempted to accept the assurance that a supervisor can tell you the whole story and you don’t need to talk to her/his charges. If anything this should be seen with an element of suspicion and tactful verification is a good idea. The fish bone can be made as complex as you need it to be in order to show all the influences on your new project. The thing that becomes apparent very quickly is that whether they are aware of it or not, most of your stakeholders rely on others for skills, support, know-how, data, administration and other inputs that can potentially prevent the processes progressing and hence you need to know about it and to resolve, or risk manage it. Your fish bone chart will immediately tell you who to talk to and by way of a bonus, it will very quickly highlight the areas of influence, both positive and negative when it comes to rolling out. Organisational culture and requirements process maturity. Once your target interviewees are lined up, your next step is to hold a number of short interviews and/or an interactive workshop to discuss past projects, how they went and how the organisation reacted at the time and now. Asking them what they felt went well and what went wrong will go a long way towards gauging what will go down well, or will meet with resistance in terms of methodology. The aim is not to deliver the perfect project, by your standards, but to deliver the best you can within the capabilities and expectation of the clients. The last critical aspect of this phase is to get a good feel for their favoured mode of communication within this area. Do they have requirements documentation that they worked with in the past? Are they comfortable working with it? Does technical documentation create silos that exclude valuable stakeholders to the benefit of technical people . This aspect is vital, because the quality of decisions they make and their perception of you as a trusted adviser will be directly proportionate to your skill in communicating the concepts clearly to them. Not only that, but your ability to get their attention at all let alone hold it long enough to achieve a useful level of consultation will depend on not confusing or alienating them with technical or complex instruments of communication or use of unfamiliar jargon. Once you have gathered your information it is time to make some preliminary decisions about how to take it forward. How to collect information, how to verify your information and how to communicate back to stakeholders ahead of defining the requirements. 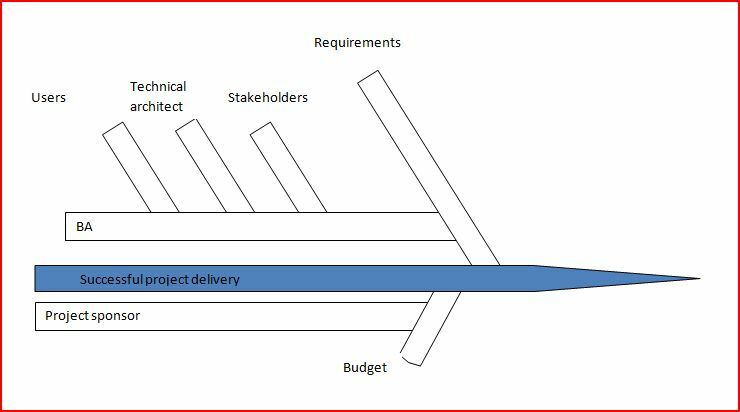 Identifying these tasks, the stakeholder and support staff needed and the order and dependencies of the work, it is time to add this to a simple Gantt chart that defines high level activities, high level milestones and products to be delivered. Understanding, agreement and total buy-in. If you have done your homework and worked in a consultative manner you will be very confident before presenting the plan, that it will be understood and supported and will be accepted by your stakeholders. A list of products you propose to produce backed by a simple concise explanation of how and why and samples. A Gantt describing the timeframes and milestones. An indication of the time commitments required of key stakeholders. At the end of this you should answer questions and ask for their full support backed by a sign-off of the plan. Ed Taaffe is a senior Consultant in Business Improvement through technology and Hi-tech Product management. I read these 6 articles with great interest. I wholeheartedly agree with the initial points regarding the general failure of IT Projects to deliver solutions that are business enabling. Your comments on how to address this common shortfall are incisive.Testing is indded essential from the very beginning of the initiation phase.